Box Welded Pond Liner is one of our most popular forms here at Stephens Industries. Plastic and Glass fibre liners provide shape, but are bulky, fragile and are only available in a very limited range of sizes. Sheet lining is convenient, but can be difficult to shape and install into intricate shapes. Unlike Plastic and glass fibre liners, or sheet liners, Stephens Industries Rediliners Box Welded Pond Liner is prefabricated to almost any shape, without unattractive folds or creases. These pre-fabricated box welded pond liners are constructed of flexible and durable SealEco EPDM liner. Prefabricated in our factory, these liners are welded to a specified shape so that they will slip into the pond easily and neatly. Within the design specification it is possible to include planting shelves, inlet and outlet pipes and overlaps for fixing. Our box welded pond liner solutions are more adaptive for our customers. Simply excavate, lay protective matting, install liner and fill. 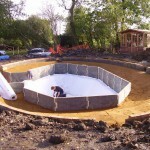 Our Rediliner pre-fabricated box welded pond liner can be made to your exact requirements in any shape or size. They can then either be installed by yourself, or where necessary can be installed by the Stephens Industries installation team. 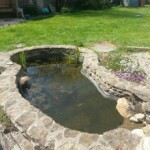 Rediliner Box Welded Pond Liners can also be used as part of koi pond installations throughout the UK. Being prefabricated to any shape or size, our expert team can work to the depth that is recommended when keeping koi fish. Koi, being larger than most fish need more room to move around – both vertically and horizontally and with Stephens Industries supplying Rediliner for various customers throughout the UK over the years, we sure can help you. If you choose to have a box welded pond liner, there are several properties that make them superior to usual liners. Being easier to install, if measured correctly, box welded pond liners are usually able to minimise creases or folds – helping the cleanness of the water throughout its duration. 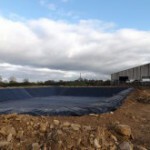 For more information and assistance on our box welded pond liner, please contact our team.